We finally found a Lincoln! Really lucked out too. We originally went through Carmax which ended up being a hellish, torturous affair which I shall never put myself through again. Seriously, screw them. Because of them we went without a second car for nearly a month but the storm has cleared! I want a second-gen third-gen Thunderbird now. That is all. Will they ever creep down in price? Just thought I’d give a heads up to all of you who like classic RTSs. The normal Steam price is $19.99. All expansions are also 75% off! May Need a Commuter Car in the Next Year - Help? I’ve been really lucky not to have to commute for my job since I bought my Mustang, but it looks like that’s going to change. I’ll be commuting about 120 miles a day with my new job and I am not willing to put those miles on my current car. This thing is so cool. I can’t be the only one here with a vintage speedster fetish, right? If I had the garage space and a little more pocket change I would seriously bid on this baby. Definitely the cleanest custom speedster I’ve seen in a very long time, maybe ever. Just wanted everyone to know that Dirt Rally is selling for $18 USD on Steam. Looks like there’s 24 hours left in the sale! 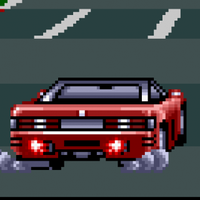 What's the first racing game that you ever played? Mine was Top Gear for the SNES. I won’t forget this music for as long as I live. You can pick up a Mk. 3 for cheap...for now. I don’t know why but I have really been craving one of these. This is a luxo-barge coupe that was born on the eve of the malaise era. That means that if you pick up an early one, the 460ci V8 makes 365hp and 500 (!) torque. My car*** is the only thing machine** that I use in life that I operate primarily with my feet. ...Tell life where it can go shove it. Seriously people. I’ve seen some alarmingly depressing posts over the last few days and weeks. Not all political, mind you. Some were just coming from bad places.